Henry Jastro (Jastrowitz) was born in 1848 or 1850 in Hamburg, Germany. 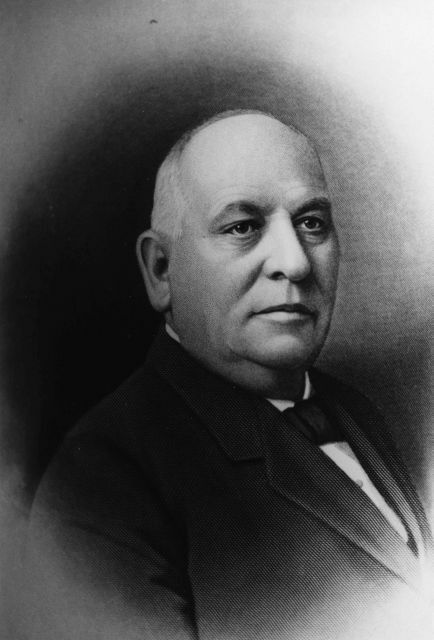 Henry Jastro arrived in New York in 1863 on the ship Simona. He handled freight in Arizona, worked in cattle business in Wilmington, California (Los Angeles port area), and was as a livestock drover and freighter for Phineas Banning on Catalina Island. Jastro then became a trail boss on cattle drives in the San Joaquin Valley, Nevada, and Arizona. In 1872, Henry Jastro established a ‘first-class’ Bakersfield Brewery, furnishing beer to the area. In 1874, he became an associate for the Kern County Land Company. It was Henry Jastro who advised Alphonse Weill to move to Bakersfield and become the distributor for his beer. In 1885, Jastro produced the first cotton crop in California. In 1890, he bought the Bakersfield’s Gas & Electric Company, with H.A. Blodgett, and added coal to its sales and distribution. The utility company later merged into San Joaquin Light & Power Co. and Pacific Gas & Electric Co. In 1903, Jastro was Manager of the Kern County Land Company, controlling 1,395,000 acres in California, Arizona, New Mexico, and Mexico, as well as the local utility company that Jastro owned. Jastro also served as a board member of Bakersfield Sandstone Brick Company. Henry Jastro served five terms as president of the National Livestock Association. He was an active member of the California State Fair Association. He was a member of the Southern Hotel Association Board of Directors. Between 1892 and 1916, Jastro served on the Board of Supervisors. Many public works projects completed during his administration. Jastro was a member of both the Elks and Masons. Henry Jastro married May Baker, daughter of Colonel Henry Baker, founder and namesake of Bakersfield. Together, they has six children, three of whom survived to adulthood: Harry, May, and Carolyn. 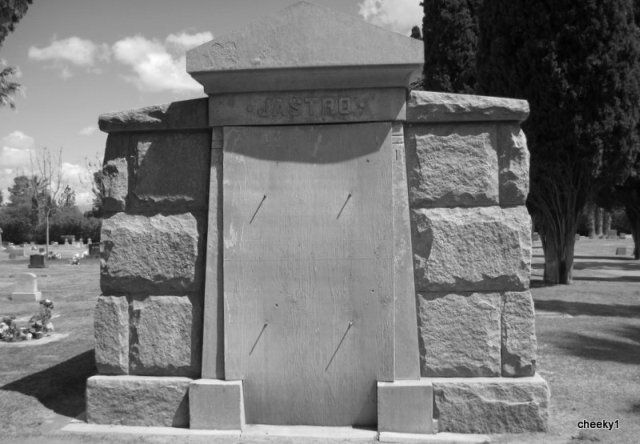 May Jastro died in 1894. She is buried in Union Cemetery, Bakersfield. Henry Jastro died in 1924 while staying at the Palace Hotel in San Francisco. He was buried in the Union Cemetery in Bakersfield with both Masonic and Elk rituals. Shirley Ann Newman, We Brought Sinai to San Joaquin: The Story of the Jews of Kern County (Bakersfield: Temple Beth El, 1998). Annie R. Mitchell, “Pioneer Merchants of Tulare County, California,” Western States Jewish Historical Quarterly 2/3. Regina Merwin is curator of this Henry Jastrow exhibit.